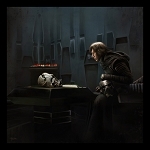 Home > Star Wars Fine Art > "Confinement"
"Confinement" Star Wars Fine Art Giclee Signed and Numbered By Brian Rood Very limited exclusive artist proofs direct from the artist studio Limited Edition Giclee on Canvas or Paper editions Hand-numbered and Signed edition artist proofs Comes with Certificate of Authenticity Offering fine art Star Wars "Artist Proof" reproductions direct from the artist studio. 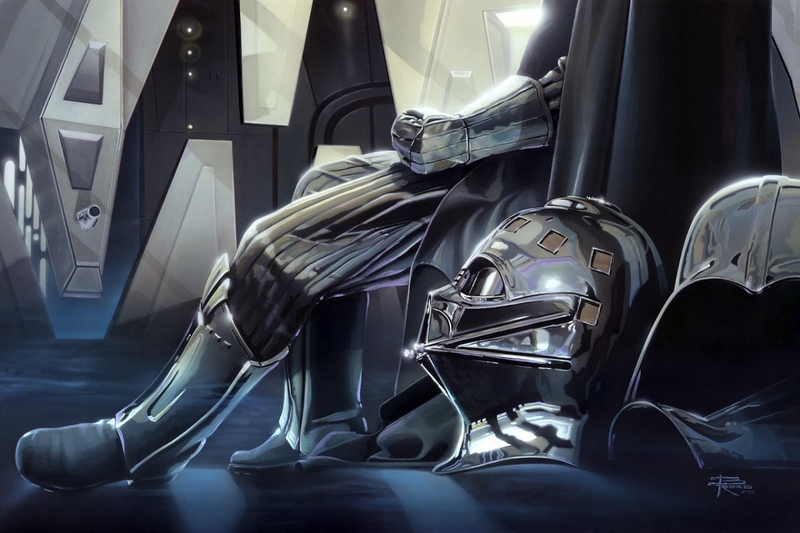 A selection of both Paper Edition Giclee and Canvas Edition Giclee "Artist Proofs " of your favorite Heroes and Villains from the Star Wars Universe. Please select your Paper or Canvas Edition choice from the drop down menu under the "CHOOSE OPTIONS" part of the page. Gallery wrapping is available. If you select the rolled version of the canvas edition you will get the canvas shipped rolled to your house, ready for your local framer to stretch the artwork over your choice of stretching bars. The gallery wrapped edition ships to you ready to hang, already professionally stretched with all mounting hardware attached to back of artwork.